Fear of a repeat-attack on Pearl Harbor prompted the Army and Navy to plan a less vulnerable, bomb-proof complex, designed and built as an underground open bay with floor space for an aircraft assembly and repair plant. Construction on the $23-million underground complex began in 1942 and was completed in late-1944. It was a free-standing structure that was later covered with 5-feet of soil for pineapple cultivation. The secret underground facility was constructed as an open bay area, without interior cement blocks. The outer walls are composed of reinforced concrete and dirt. The entrance was placed in the steep side of the gulch to obscure visibility; access to the structure was by means of a quarter-mile-long tunnel. The access was built on a curve with a 90-degree bend, intended to provide protection for the entrance to the bunker, at the end of which were elevators for the different levels. It is not a true tunnel; rather, a freestanding 3-story structure with approximately 250,000 square feet in overall size with a total of three floors. 220,000-square feet were available for assembly of folded winged aircraft (each floor was the equivalent of a football field,) with 30,000-square feet used for power generation and air conditioning. The main shop was designed to provide space for three B-17 planes, two without wings and one with wings and was later modified to accommodate larger bombers. The work area was surrounded by smaller repair shops and storage rooms. To light the facility, it took almost 5,000 fluorescent tubes. Two elevators serviced the field station – one capable of accommodating four 2 1/2-ton trucks or “an average size four-room cottage.” For passenger service, another elevator was provided with a carrying capacity of 20-people. It had a cafeteria that could turn out 6,000-meals a day. Huge air conditioning and ventilating systems ensured a constant flow of fresh air drawn from the open countryside. One World War II soldier described the tunnel as “the great underground cavern”. The soldier said the tunnel was “equipped with every modern facility and the three floors of the huge bombproof structure were found to be ideal for our purpose”. Aircraft including the B-24s, B-17s, B-26s bombers and other types were serviced in the bunker; these bombers were used in major bombing operations in the Mariana Islands, the Philippines, Japan and Okinawa. There is no historical evidence to suggest the field station was ever used for aircraft assembly. After the danger of further enemy attack passed, this facility housed the Engineers’ extremely important map and chart reproduction services. It provided personnel, information and communications support to the Pacific Theater and National warfare requirements; working with photographs supplied by Army and Navy fliers, they produced maps and aerial photographic mosaics. These first “Kunians” were shift workers, working three, 8-hour shifts, making maps. They produced a staggering number of maps; in one month, more than 2,700,000-maps were printed and used by Allied forces in the war in the Pacific. At the end of WWII, the facility was turned over to the Air Force. Then, in 1953, the US Navy officially took over the facility and used it for ammunition and torpedo storage; they then renovated it and converted the building into a secret security structure. 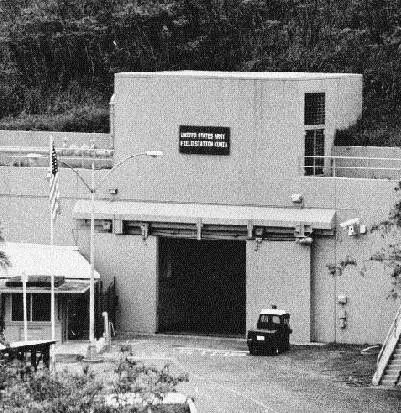 With renovations completed in the early-1960s, the Commander in Chief of the Naval Pacific Forces used Kunia as a command center. Further renovations to strengthen the structure against chemical and radioactive attacks were completed in the mid-1960s. 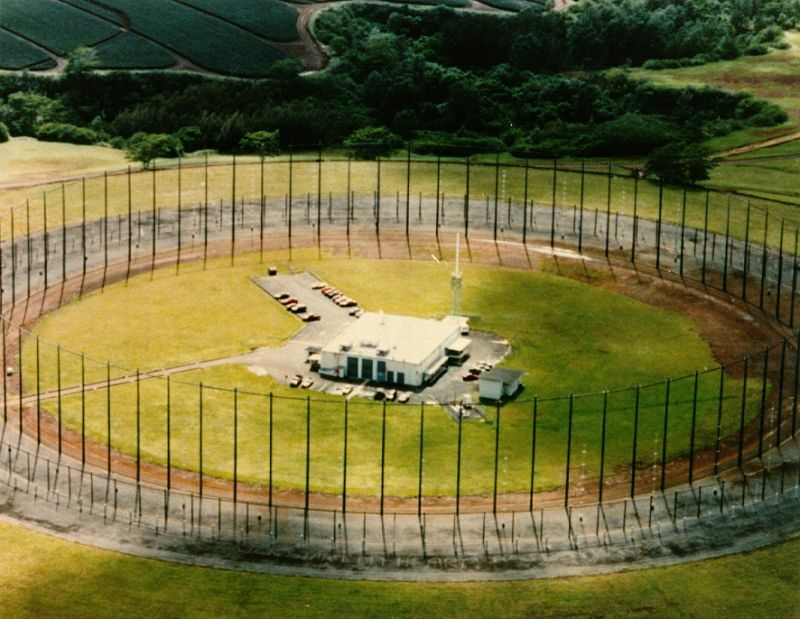 The Fleet Operations Center was moved to another location in 1976, and the Kunia base was turned over to the General Services Agency. Most recently, a new state-of-the-art Hawaiʻi Regional Security Operations Center (HRSOC) was constructed near Wahiawa, which replaced the Kunia Regional Security Operations Center (KRSOC). The image shows the entrance to “The Hole.” In addition, I have included other related images in a folder of like name in the Photos section on my Facebook and Google+ pages.